This week, Your News to Know rounds up the latest news involving precious metals and the overall economy. 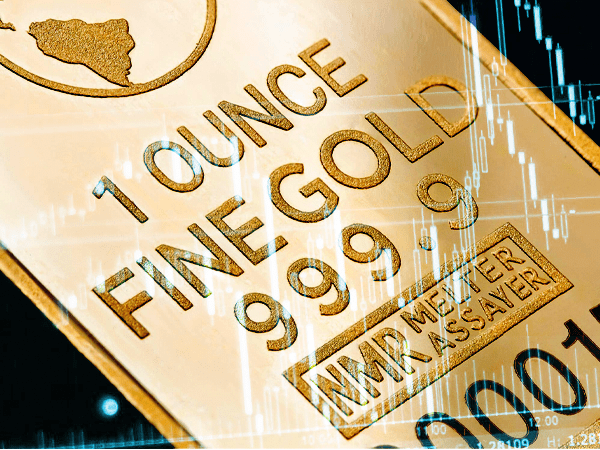 Stories include: Gold demand will hit a four-year high in 2019, gold ready to break out due to numerous tailwinds, and why the long-awaited silver boom could be right around the corner. Last year’s demand for gold bullion surpassed most expectations, driven largely by central banks from around the world. According to a recent article by Reuters, initial forecasts predicted governments would buy 300 tons of gold in 2018, a figure that was later moved to an expected 450 tons. By year’s end, the official sector purchased over 600 tons of gold, amounting to a 75% increase compared to the previous year. Yet according to a recent report by precious metals consultancy Metals Focus, jewelers’ appetite for gold this year will eclipse even that of central banks. According to Reuters, the firm sees central banks buying roughly 600 tons of gold by the end of 2019, with investment demand remaining at a steady 1,082 tons. Yet China and India, two of the world’s top gold consumers, are expected to increase their jewelry demand by 3% and 7%, respectively. This will bring 2019’s overall gold demand to a four-year high of 4,370 tons, said the consultancy. In the report, Metals Focus also said that gold will average $1,310 an ounce this year, the highest since 2013. Elaborating on their bullish prediction, the firm said that a likely end to the U.S. interest rate hiking cycle will play a major role in boosting gold prices. Gold demand should be bolstered further by an escalation of economic and political uncertainty around the globe. Gold prices have held steady even as the equities market received a brief, yet significant respite in the form of an optimistic jobs report. As the downwards pressure from stocks fades, Kitco writes gold will be ready to make its move up, supported by numerous positive developments along the way. For many, the chief among these have been Brexit-related complications. The 2016 announcement that Britain will exit the European Union had an immediate positive effect on gold prices, showing that investors are acutely sensitive to potential ramifications. Now, British Prime Minister Theresa May faces the near-certainty of a hard exit on April 12 unless her request for an extension is granted. While many analysts dismiss the notion that a no-deal Brexit is a week away, there are plenty of doubts that an extension until June 30 would culminate in a satisfactory deal. A hard British exit would greatly complicate affairs in the eurozone, which is already dealing with its share of strife. The European Central Bank recently downgraded its growth forecast and reneged on previous plans to hike rates this year, somewhat emulating the Federal Reserve’s own dovish U-turn in March. With growth concerns and subdued hike expectations in both the U.S. and Europe, gold will see some of its biggest headwinds removed. According to Ross Strachan, senior commodities economist at Capital Economics, it won’t take long for stocks to go back in the red. After all, many experts agree that the equity market is entering a prolonged bearish stretch after a decade-long bull run. This should boost haven demand and bring prices to $1,400 by the end of 2019, said Strachan. Over the shorter term, gold prices could receive additional support if next week’s CPI and PPI reports point to a rise in inflation. The Silver Institute predicts that silver prices will enjoy an increase of 7% this year. While a fairly optimistic prediction in its own right, Seeking Alpha contributor Zoltan Ban thinks that the 7% increase will be the mere start of a veritable silver boom. The upcoming shift in the silver market will be triggered by the most basic fundamental: a dwindling supply pitted against a long-term increase in demand. As popular of an investment option as it is, silver’s reputation as an industrial metal is also well-earned: as much as 55% of overall silver demand comes from the manufacturing sector. Recently, the metal’s diminished prominence in photography and cost-cutting in the solar power sector may have given the impression of subdued manufacturing demand. Yet Ban asserts that industrial innovation will usher in the upcoming silver bull market, noting that the aforementioned two uses barely scratch the surface when it comes to silver’s role in technology. One example is the automotive industry, which is expected to triple its silver demand in the next two decades. More and more silver-utilizing gadgets are being used every day, and the metal is seeing greater use in fields such as medicine and water purification. One of the key points of what Ban views as an upcoming industrial silver revolution will be the metal’s cost-effectiveness for manufacturers. Given silver’s unique utility and the relatively-low material percentage, most manufacturers would have little incentive to cut back on silver demand even if prices were to quadruple. This could come in handy for silver investors as industrial needs for silver rise rapidly while the mining industry faces a production decline of nearly 5% since 2015. Ban hedges a good portion of silver’s appeal on its scarcity value, as the metal is, for the most part, obtained indirectly. The analyst illustrated this in an earlier column, outlining how there wouldn’t be enough silver for the world to switch to a solar-power grid. The current cost-cutting trend in the solar power industry is temporary, says Ban, as green energy has already become a global talking point. This, along with the perpetual increase in other areas of industrial demand, paints a very favorable long-term picture for value investors.